Take a walk down the alley of refined fashion by wearing this top from Stop. It comes in a solid pattern that lends it a voguish look. 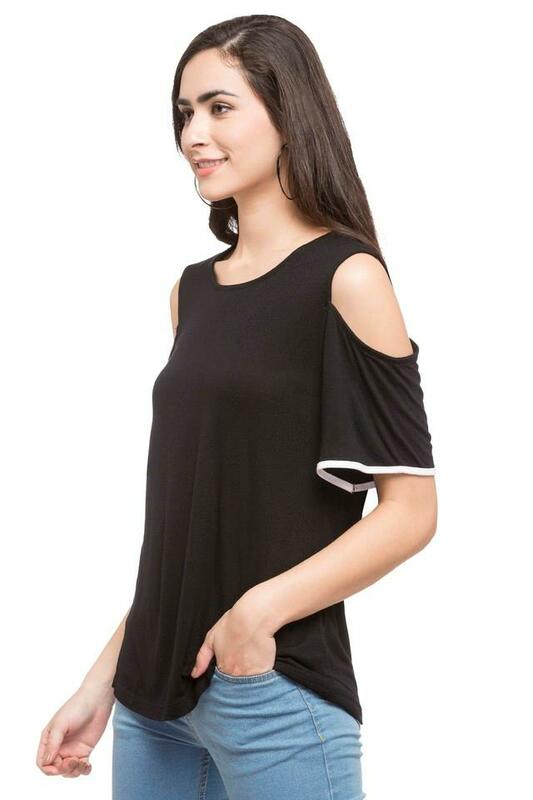 Besides, the round neck and cold shoulder sleeves enhance its design. 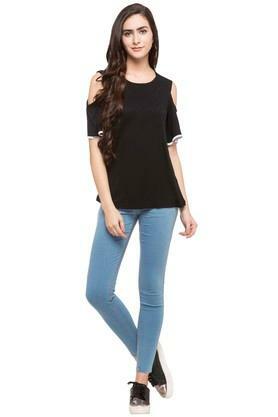 Furthermore, it scores high on the comfort quotient as it is tailored with a superior quality fabric. 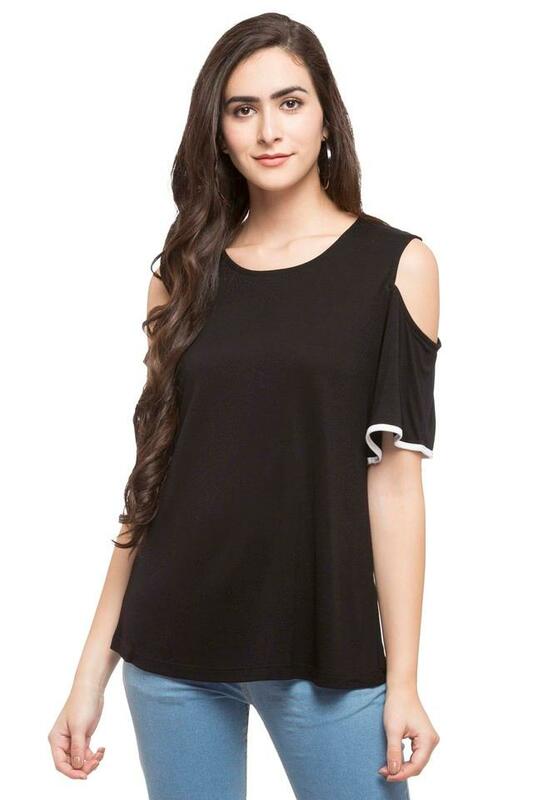 Give your casual collection a splash of refreshing fashion by adding this top, which features cold shoulder sleeves. 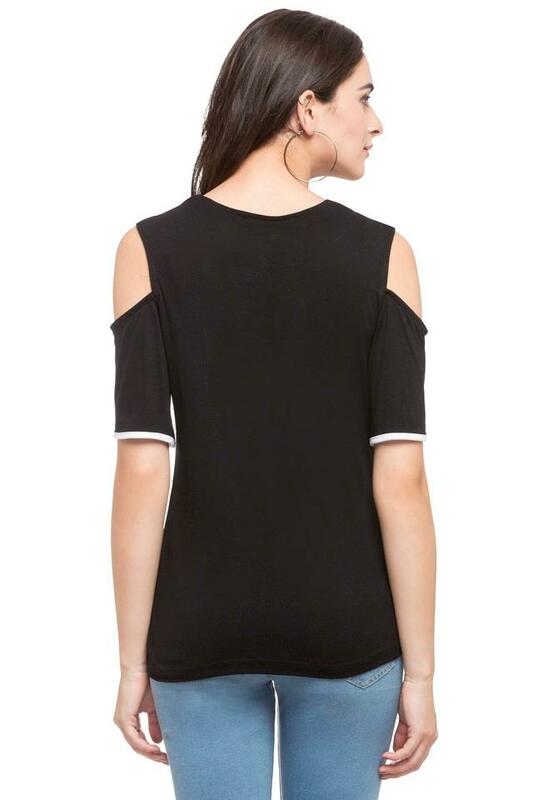 It will go well with jeans and peep toe shoes.